Energy is humanity's single most important resource. In fact, as energy expert Michael E. Webber argues in Power Trip, the story of how societies rise can be told largely as the story of how they manage energy sources through time. In 2019, as we face down growing demand for and accumulating environmental impacts from energy, we are at a crossroads and the stakes are high. But history shows us that energy's great value is that it allows societies to reinvent themselves. 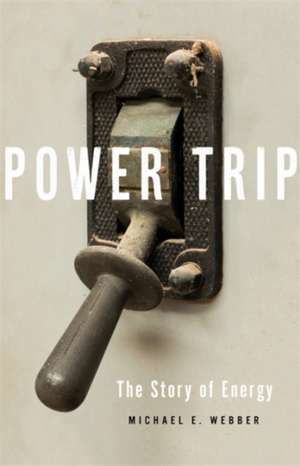 Power Trip explores how energy has transformed societies of the past and offers wisdom for today's looming energy crisis. There no magic bullet; energy advances always come with costs. Scientific innovation needs public support. Energy initiatives need to be tailored to individual societies. We must look for long-term solutions. Our current energy crisis is real, but it is solvable. We have the power. Michael E. Webber is the Josey Centennial Professor in Energy Resources and professor of mechanical engineering at the University of Texas at Austin. He is also author of Thirst for Power. He lives in Paris, France, where he is serving as the Chief Scientific and Technical Officer for Engie, a global energy and infrastructure services firm.